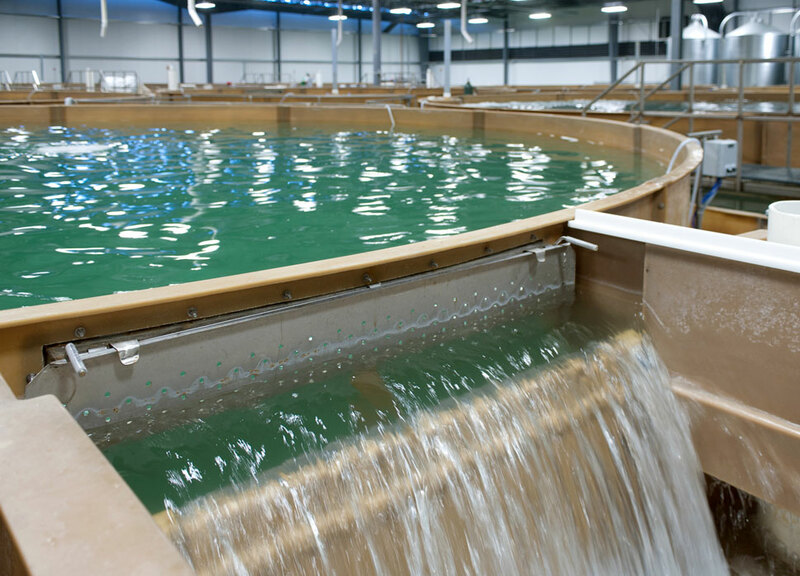 Recirculating aquaculture systems (RAS) are the most modern and environmentally sustainable method of culturing fish. In RAS, water is treated mechanically and biologically and recirculated to be used again. Such systems require only 10% of the daily water intake of traditional systems and ultimately discharge clean, treated water back into the environment. Oxygen and temperature are also controlled, keeping the fish in optimum conditions. RAS technology makes it possible to contain 90% of the water and re-use it via the bio-filter, which uses beneficial microbes to remove chemical wastes. Check out our RAS projects and news.